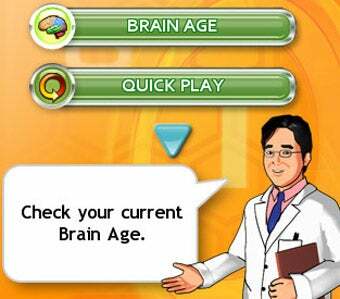 We can finally keep up with our brain age on our iPhones, thanks to Namco Bandai Networks Europe's Brain Training with Dr. Kawashima, available now at an iTunes App Store near you. It really comes as no surprise that Dr. Kawashima's brain exercises are now available on the iPhone, with a range of new activities, built-in Sudoku (yay), and the ability to challenge up to three friends on the same iPhone or iPod Touch. The surprise lies in the fact that it took them so long to do it, a sentiment that Namco Bandai Networks Europe President Barry O'Neil echoes. "It's not often that Apple aficionados have to play catch-up but the 27 million users of Dr. Kawashima's various brain training platforms are testament to the rise of this genre of casual gaming. We look forward to seeing how iPhone users rank against others who are already using Dr. Kawashima's approved brain training games on the move." Oh yes, and rank will be tested, with global leader boards and the ability to compare test scores via Facebook built right in. It's the kind of iPhone application that just makes perfect sense, and it's now available for $5.99, €4.99, or £3.99, based on your local monetary symbol.